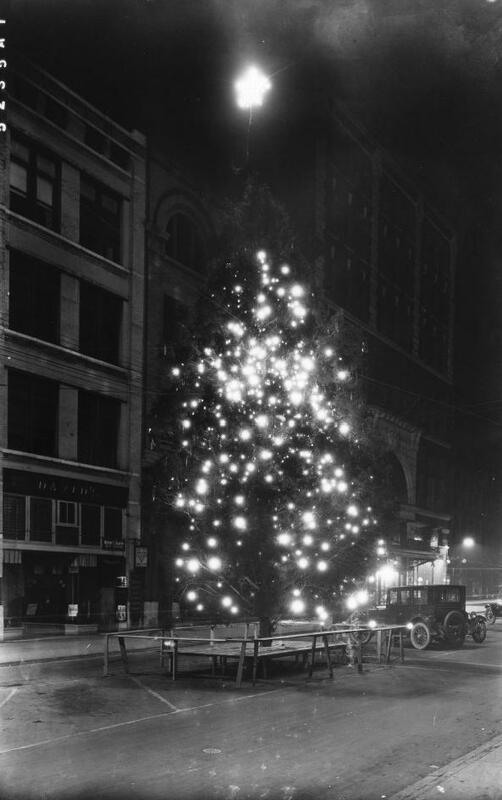 I love how the tree looks like it's lit with spotlights -- quite the opposite of today's tiny LEDs. And check out the pitch dark buildings behind. Thanks for finding all these scraps of history! An interesting take on urban decay.